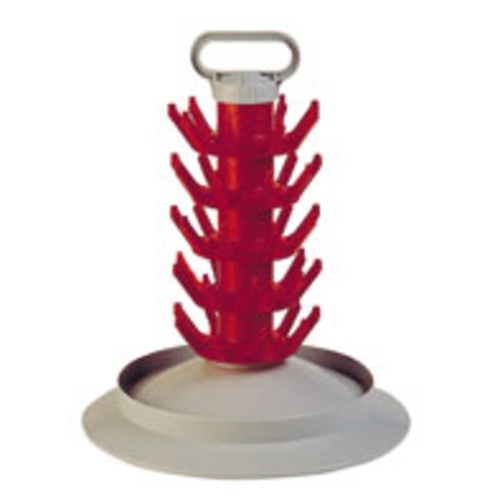 Economy 45 seat bottle trees with carrying handle. The layers of the Economy bottle trees screw together for a very strong and stable unit. The seats are closer together than the standard 45/90 seat trees, when used with wide bottles such as wine bottles, the bottle fit closer to one another and rest on top of the lower bottles. Due to the handle you cannot set a sanitizer injector on top. Made by Ferrari Group in Italy.